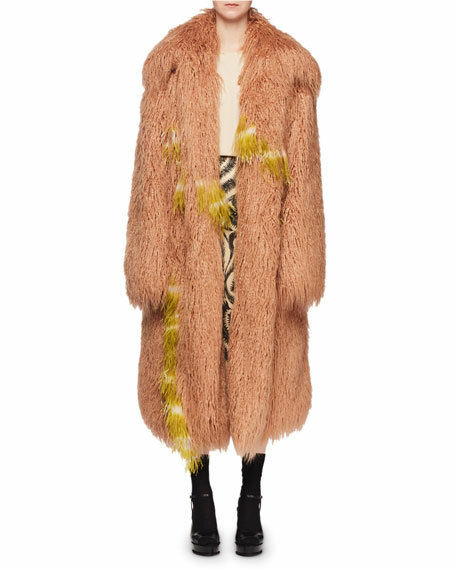 Dries Van Noten "Rotadi" chubby caban coat in faux-fur (modacrylic/acrylic). Dries Van Noten is considered as much an artist as fashion designer. With over 25 years in the industry, Van Noten designs in his native Antwerp with an intellectual mind and a personal eye for poetic beauty. His signature use of prints, color, and ethnic influences tempers eccentricity with a keen sense of refinement, evidenced by layered looks that pair contrasting patterns, textures, and shapes to wearable effect. In addition to his collections for women and men Van Noten also designs shoes and accessories under his eponymous brand. In 2008, Van Noten was honored in New York with the CFDA International Designer of the Year Award. 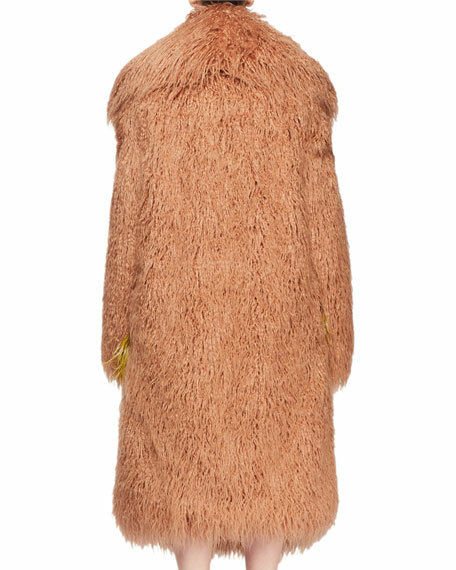 His collections first received their dedicated areas at Bergdorf Goodman in September 2010. For in-store inquiries, use sku #2675080.